3 Nights at 5* Hotel Principe Felipe, La Manga, B/B. 3 rounds of golf at: North Course, South Course & West Courses. Based on 2 persons sharing a 1 bed appt. 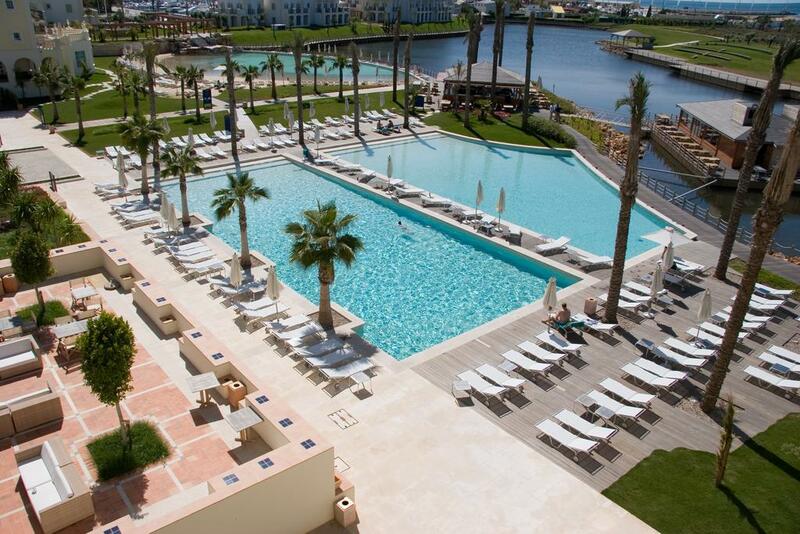 3 Nights at 5* Hotel Principe Felipe, La Manga, B/B. 3 rounds of golf at: North Course, South Course & West Courses. Based on 2 persons sharing a 1 bed appt. 1 Free in 8 Offer. The region of Murcia is located in the south-eastern corner of Spain, between Almeria to the south and the bustling resorts of the Costa Blanca to the north. The roughly 250km of coastline in this part of Spain is known as the Costa Cálida, meaning the warm coast, due to the comparatively hot subtropical Mediterranean climate, with mild winters and warm to hot summers. With an average of more than 300 days of sunshine per year and relatively little rainfall, as with elsewhere in Spain the weather is perfect for golfing holidays. The region in south east Spain offers plenty of attractions to visitors and holiday makers. The busy capital city of the area, also called Murcia, is a university town with a splendid cathedral and classical heritage, and is known as Europe's orchard due to its long agricultural tradition and as a fruits, vegetables and flowers producer and exporter. The ancient city and naval base of Cartagena has a wealth of historical sites and fascinating architecture, whilst the nearby Mar Menor and the famous La Manga resort provide glorious beaches and various sporting activities, including sailing, water-skiing, windsurfing and canoeing. La Manga is also well known for hosting numerous football clubs from all over the world during the winter months, when players take advantage of the superb local facilities to enjoy golf breaks in Spain at the same time. For anyone considering a golf holiday in Spain, the Murcia region offers some fabulous golf courses, such as El Valle, La Serena, La Torre and Mosa Trajectum to name a few. The 18 hole Mar Menor Village golf course, opened in 2007, was designed by Jack Nicklaus and hosts a number of events and tournaments throughout the year. 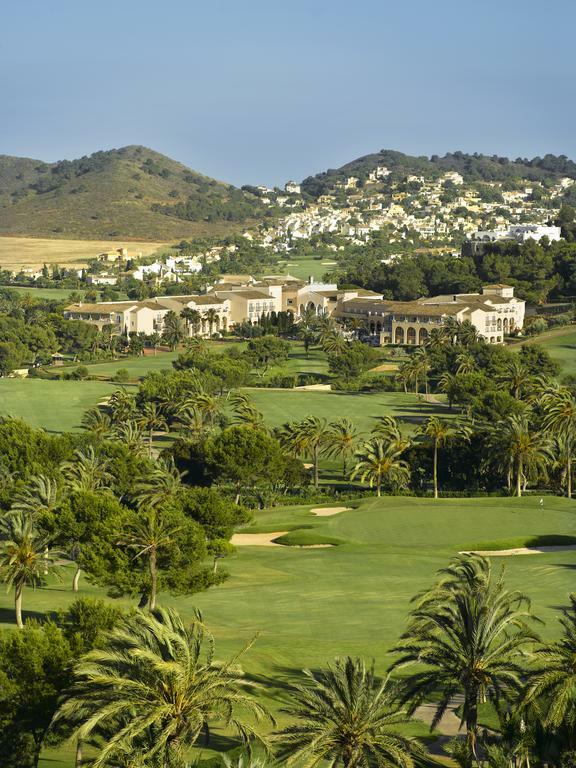 The La Manga Club resort boasts 3 Championship golf courses: the North Course, ideal for high to mid-handicappers, the longer and water filled South Course, or the very tight woodland West Course, a true test for confirmed players. As with other golf courses in the region, the facilities include a pro shop, restaurant and bar, as well as buggy and club hire. Combined with the spectacular scenery and wonderful climate, Murcia is an ideal destination for the perfect golf holiday in Spain. Murcia has its own regional airport, which is served by several low cost airlines flying from various locations, making the regions golf courses easily accessible for golf breaks and golf holidays in Spain.